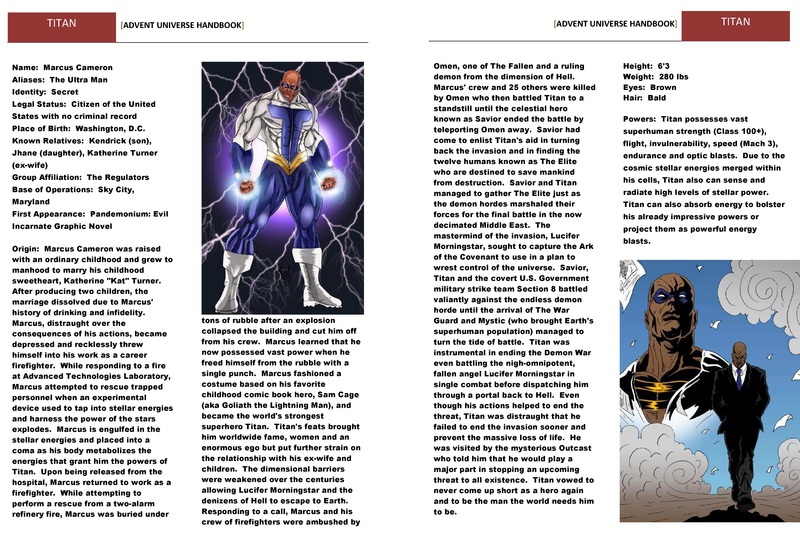 Powers: Vast superhuman strength, speed, endurance, flight, invulnerability and optic blasts; can also absorb & dispel energy as powerful blasts from his hands. 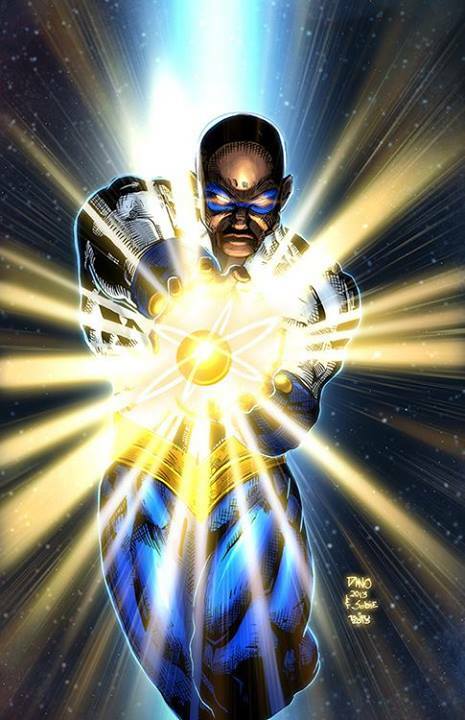 While responding to a fire at Advanced Technologies Laboratory, Marcus is attempting to rescue trapped personnel when an experimental device used to tap into stellar energies and harness the power of stars explodes. Marcus is engulfed in the stellar energies and placed into a coma as his body metabolizes the energies that grant him the powers of Titan.